The Special Care Dentistry Association (SCDA) will hold its 31st Annual Meeting in Special Care Dentistry on April 12th – 14th, 2019 at the Hyatt Regency in Atlanta, GA. The SCDA Annual Meeting offers high-quality educational content to those dentists working in clinical, academic, and advocacy efforts in special care dentistry. Registration Now Open! Click here to register today! Click here to view the program*. 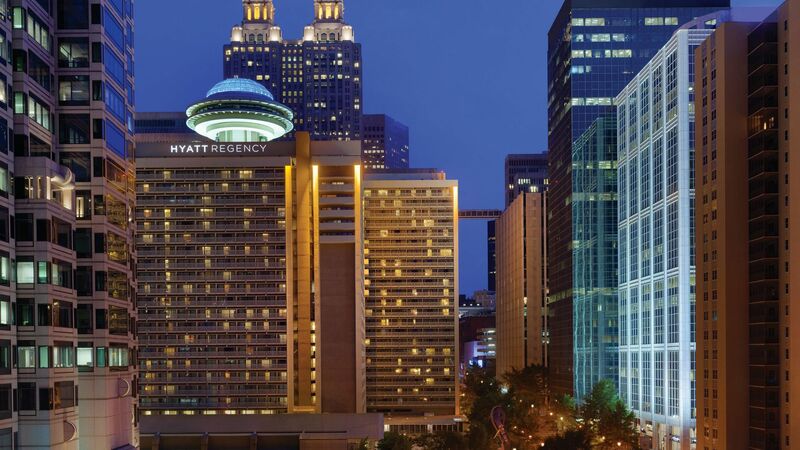 The 31st Annual Meeting on Special Care Dentistry will be held at the Hyatt Regency Atlanta. SCDA is proud to offer the group rate to all meeting attendees from April 11-14. Atlanta is a bustling city with many attractions and places to explore, and SCDA recommends booking travel and accommodations early. Rate: $199 per night before taxes, gratuities or service fees. Reservations can be made via phone(404) 577-1234, be sure to mention SCDA when calling to book reservations. Rooms are limited and on a first-come, first-served basis. The hotel cut-off date is March 23, 2019. Experience the Hyatt Regency Atlanta, located in the heart of Atlanta near popular attractions such as the Georgia Aquarium, World of Coca-Cola, and the College Football Hall of Fame. Atlanta International Airport is located just 11.3 miles away from they Hyatt Regency Atlanta Hotel. Alternatively, the Peachtree Center MARTA train station is next door to the Hyatt Regency Atlanta and connects to the airport (a 30-minute ride). Click Here for information on parking, amenities, flight status and terminal maps. Internet: The hotel will provide SCDA guests complimentary wireless internet access in all guestrooms. SCDA's 30th Annual Meeting was held on April 27-29, 2018 in the beautiful city of Seattle, WA.